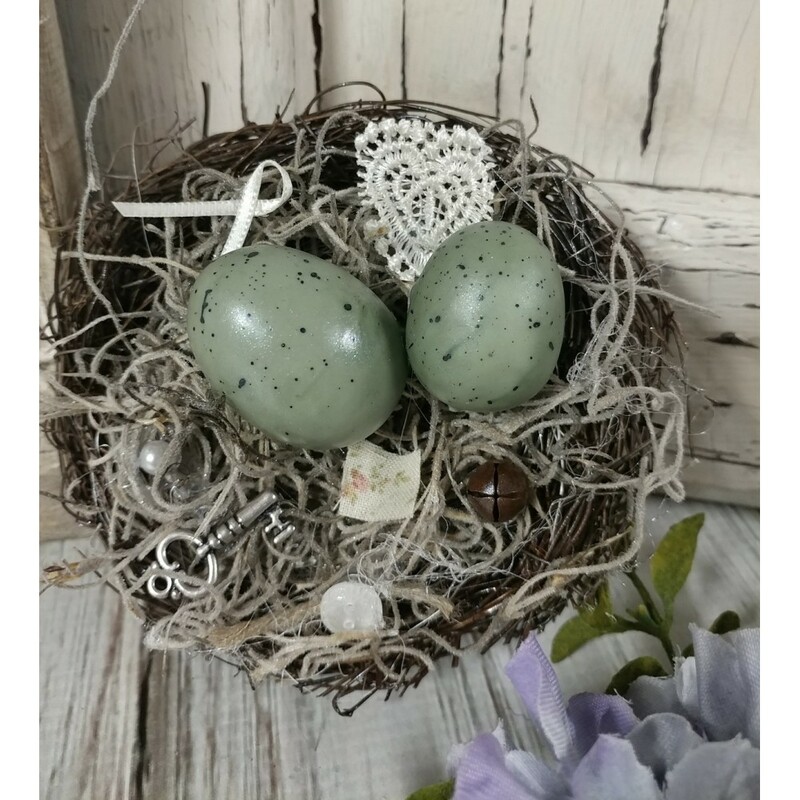 One of my most popular handmade items is back for the Spring and Summer Seasons! Each year it's a little different and this year I've added even more sweet treasures. 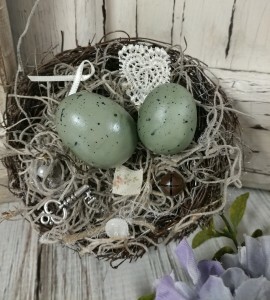 What a darling unique addition to your Summer and Bird displays..perfect mixed in with a display added to a seasonal tiered tray or a little nook that needs a touch of nature This sweet handmade birds nest is filled with so many goodies that momma robin found on her journeys...fabric, lace, button wit jute, a little pearl, rusty bell and a little key tucked in along with her 2 eggs, it will add a unique charm to your home. it is approx. 4" in diameter.